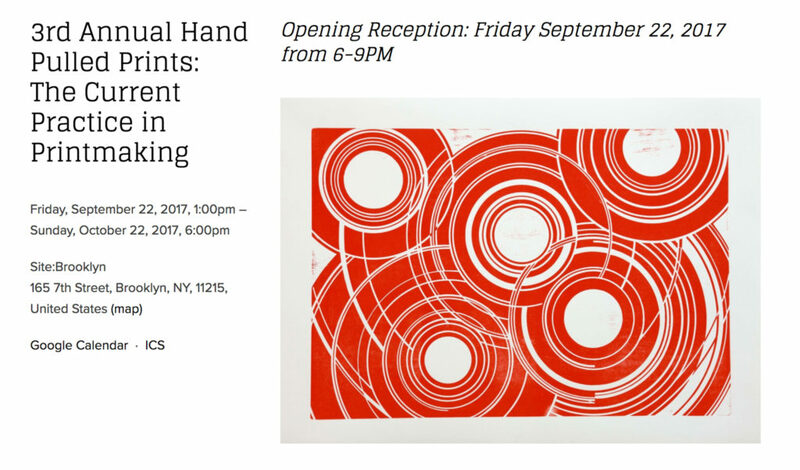 FSU Art MFA ’17 Erik Pedersen was recently invited to participate in Site:Brooklyn’s “3rd Annual Hand Pulled Prints: The Current Practice in Printmaking”, juried by Marina Ancona. The group exhibition runs from September 22 through October 22, 2017. Recent shows at Site:Brooklyn have been featured in such publications as artspeak nyc, New York Post, and Juxtapoz. Erik Pedersen is a tourist and a time traveler, using fictional characters and dark humor to talk about familial drama and half-remembered places. He has exhibited recently at The Wassaic Project, The Pajama Factory, and Aqua Art Miami. He has been a visiting artist lecturer at Bloomsburg University of PA, an artist-in-residence at The Pajama Factory, and a fellowship recipient at Vermont Studio Center. His prints are in the collections of the Bernard A. Zuckerman Museum of Art, The Southeast Review, and the Southern Graphics Council International Archives. Pedersen received his MFA from Florida State University and BAs in both Studio Art and Creative Writing from Bloomsburg University. He is currently employed as a Visual Arts Instructor at Pyramid Studios (Tallahassee) and teaches letterpress printing at Florida State University.